The 4 level Science & Technology building at Lowther Hall sits between a 19th Century mansion, the School Hall and the Staff Centre, each with a unique but unrelated architectural treatment. Within the confines of this setting the building was designed to link all three other buildings, visually and sometimes physically without competing. 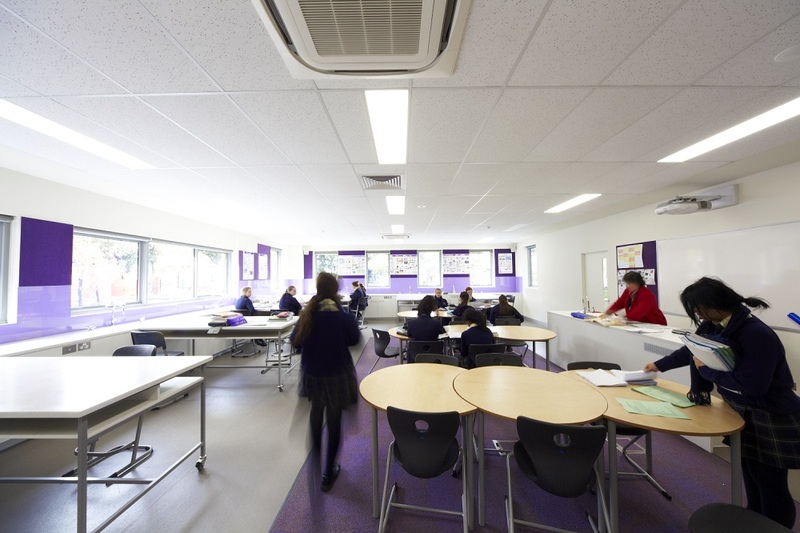 The interiors are bright, colourful, lively and stimulating, generating exciting and vital learning spaces and breakout areas maximizing the opportunity for the girls to engage socially and informally with staff for extended learning and pastoral care.